It was another scorcher of a week with “oppressive humidity (Meterologist terms folks)”. So we spent a lot of times indoors and played outside in the shade from about 3:30 on. Solon had VBS from Sunday-Thursday so Vera, Scott and I had dinner together every night. She enjoyed having a little time with just us. Solon loved VBS. We made it to bible study and tumbling and I am learning more and more to capitalize on the 15 – 20 minutes Lucy will lay in the mamaroo. She sometimes surprises me and gives me 30 minutes but then she is all upset and needs a good mom cuddle! She is still learning how to sooth herself to sleep without eating. She is getting the hang of the pacifier more everyday. We still have to work to get it in her mouth, she pushes it out with her tongue and then a good hiccup pops it right out. It does help with soothing her when she “thinks” she needs to eat but isn’t hungry. 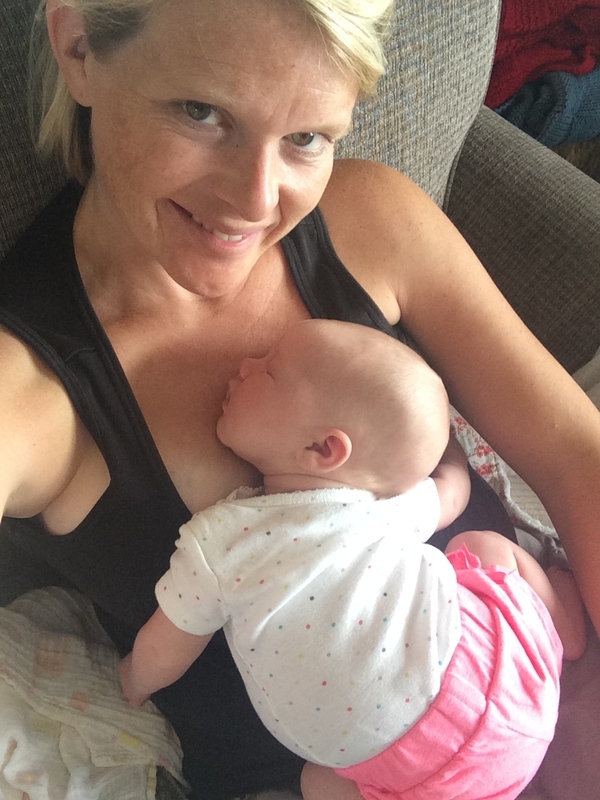 If I feed her when she isn’t hungry, it ALL comes up like a volcano (hence her nickname!). Solon and V now yell, mom “volcano!” and we know to run for a burp cloth. Lucy and I went to the mall by ourselves one afternoon. She did pretty well until she was hungry and then we announced to all of Von Maur we were there…luckily a newborn cry gets lots of oooh’s! We weren’t successful finding a rehearsal dinner dress for me (the other one was too big, yay and boo) SO I took all 3 kids to the mall on Friday afternoon. My mom gave them some money to spend if they behaved and they did…so they got to spend it. We even stopped for a nursing break. 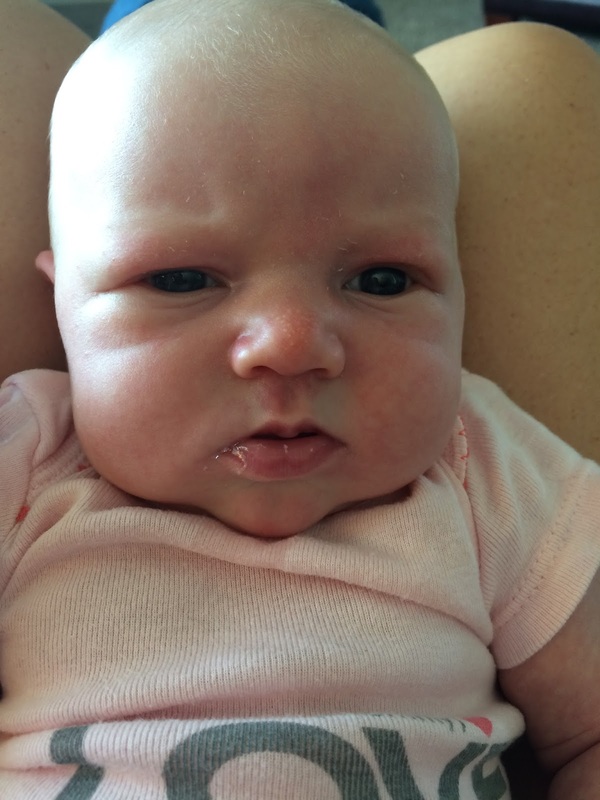 Lucy is officially about out of all of her newborn clothes. Her pants still fit but she has a long torso like her mom and dad so her onesies are a bit snug. I haven’t put them away yet :(. We also ran out of newborn diapers and although the pampers size 1 are a touch big we are using those. Lucy also now holds her poop for one or two big full diapers generally at the end of the day. We have had a few blow out the sides…I knew it was too good to be true to not have a blow out. 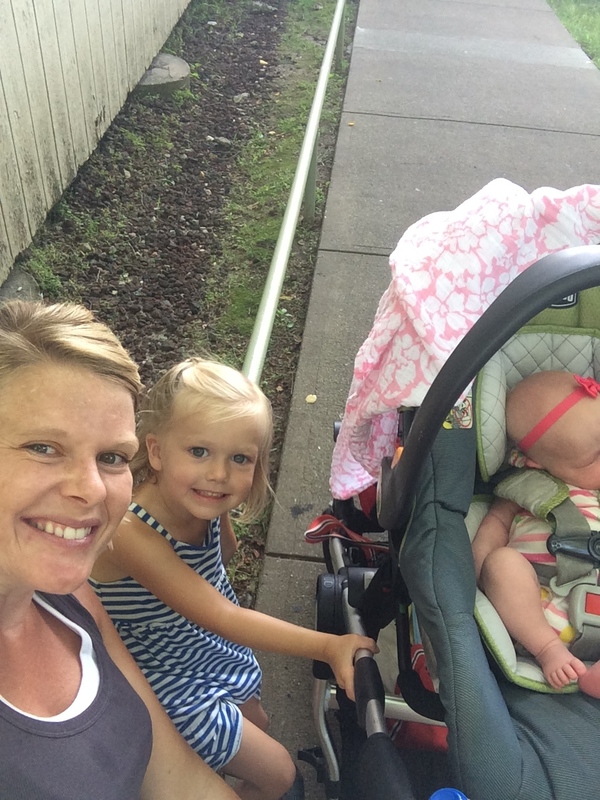 When we leave the house we always pack extra diapers, wipes, change of clothes and a couple of burp clothes and those awesome muslin blankets we didn’t have with the other kids. She is giving us one longer stretch at night unfortunately its from 9:30-2 (4.5 hours). If I was good and went to bed I would also get a longer stretch but I normally catch up on social media and you know all that stuff that rots your brain ;)! Lucy also survived Adventureland thanks to a fan, lots of shade and some AC here and there. A young (I am sure well meaning) young woman (not yet with children of her own) came up to me and told me my baby was quite red. I was a bit annoyed and promptly told her, she was fine! Lucy wasn’t red, the lady should see her red when she is mad. She just has a pink complexion ;)! We continue to enjoy meals a couple of times a week and visitors to meet Lucy! Those meals sure are a blessing to a new mama!!! 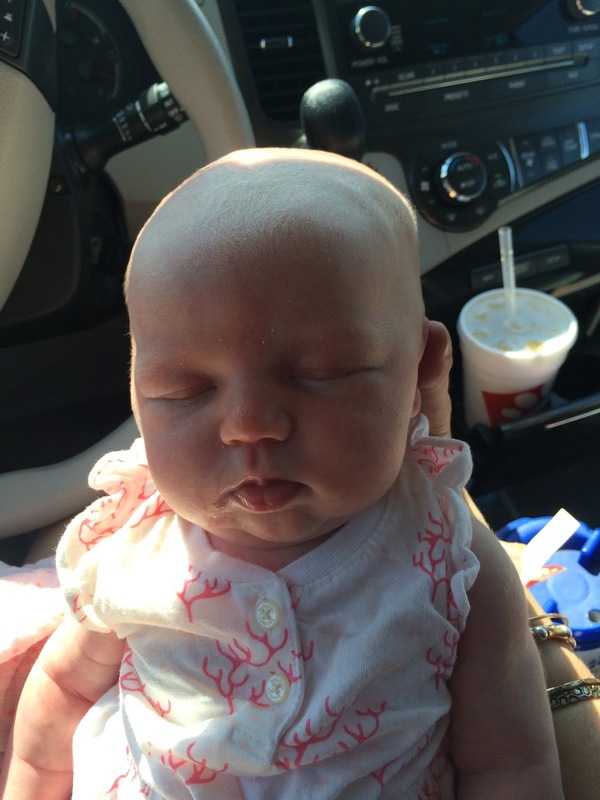 She turned one month on Tuesday, July 28th so we will update once a month now. She is definitely heavier and has filled out. I am curious about how much she weighs…I might weigh her at my 6 week postpartum check in August! 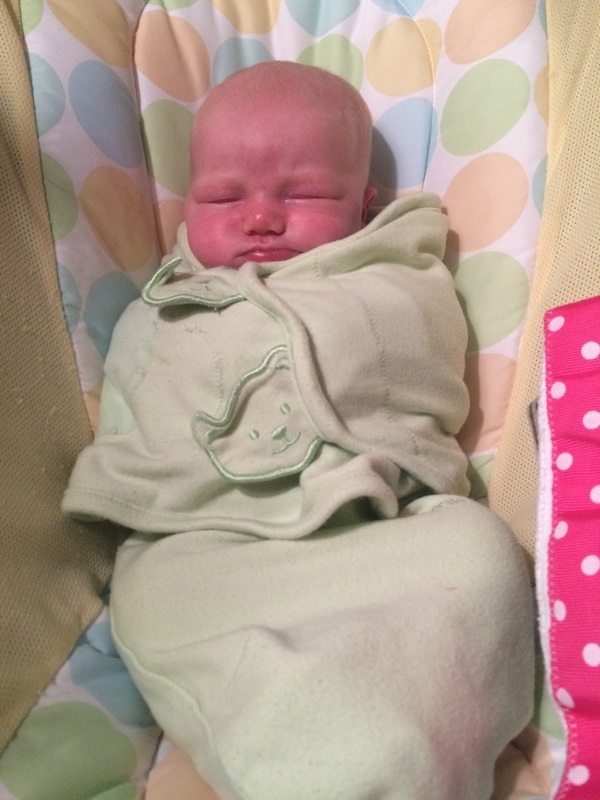 She still likes to be swaddled but her hands normally break free at some point in the night. 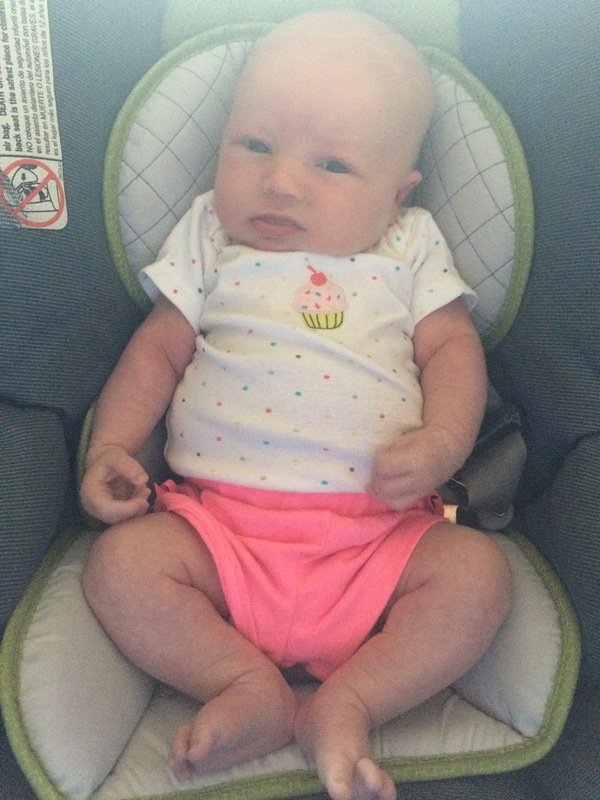 A sweet friend gave us some onesies for these hot days and her little shorts…she is looking more “baby” like and less “newborn”. But she still likes to sleep on the bare part of my chest, luckily I have been wearing lots of tanks…she likes to be on my skin. Vera and Solon got her a little gift at Buy Buy Baby…they thought she needed a “wubanub”. 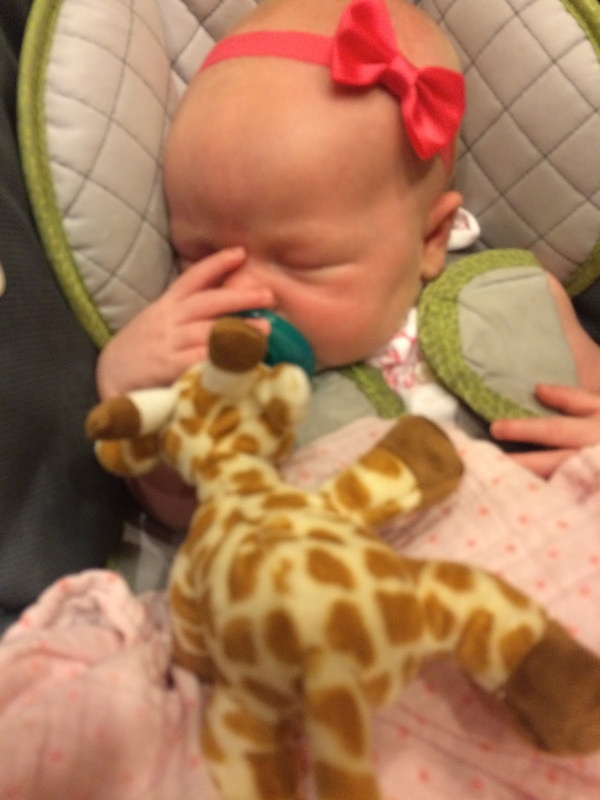 It actually does help keep it in place and you are less likely to lose the paci with a giraffe attached. That’s our carseat pacifier. This is the face of a girl that just ate in the van AGAIN. She just goes with it. The kids love hanging out in the backseat playing too! Us girls chilling at Adventureland in the shade with a slight breeze while the boys did the Tornado roller coaster. 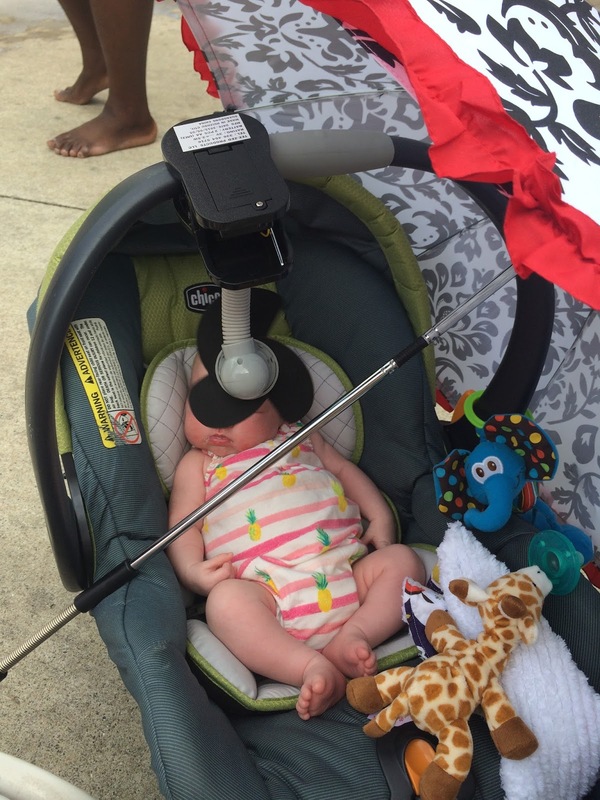 …and Lucy at the water park, fan, baby umbrella, wubanub, burp cloth…she has a lot of accessories. After a full day going on Saturday at Adventureland, she needed a lot of snuggles on Sunday from mommy! Happy 28 days sweetheart (Vera’s favorite pet name for you). We love you!